This event is to be the third annual student conference held jointly with the EPSRC CDTs in Bristol, Edinburgh and Oxford. To be hosted in exotic, wind-swept Edinburgh across the two universities which form the Edinburgh Centre for Robotics. Places are limited, but the event is free to attend for students and staff of the three CDTs. Lunch, coffee and conference dinner on the first night all included. Accommodation in student halls is also included, and your host institution will be billed directly. If you wish to opt out of this and organise your own accommodation, choose the appropriate “no accom” option below. A small number of places are also available for non-CDT PhD students from any UK institution (select the “Other Student” option below). These places do not come with accommodation provided. The conference will take place on the 3rd and 4th of June. Due to the distance, it is expected that attendees will arrive in Edinburgh on Sunday 2nd June. We intend on organising a free professional tour in the afternoon/evening for non-locals who wish to see the city (details yet to be announced). 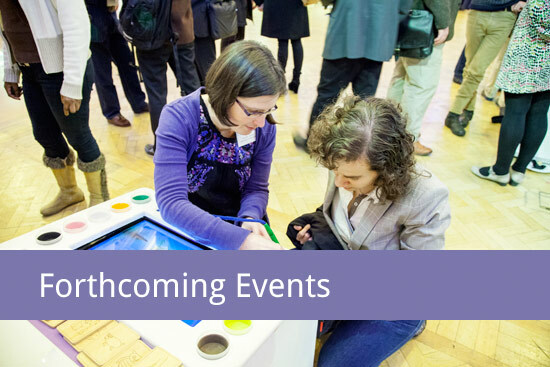 The first day of the conference, hosted in the University of Edinburgh’s Informatics Forum, will consist of selected student talks and posters, a talk from a keynote speaker, and a tour of the facilities. A conference dinner will follow in the evening. The second day will be hosted at Heriot Watt University (with coach travel arranged for those in provided accommodation) and will consist of smaller workshop/tutorial events as well as opportunities to see the facilities. It will finish by 4pm to allow for travel home for those who don’t want to stay a third night. Attendees are encouraged to submit abstracts for inclusion in the conference. These should be 1-2 pages in length and should be uploaded to EasyChair by 20th February. Abstracts will be reviewed by the Conference Committee and selected for presentation as a poster, 15 minute talk, or both by 20th March. The authors of selected abstracts will then also be asked to provide a camera-ready version by 31st March for inclusion in conference proceedings hosted on www.edinburgh-robotics.org. The opportunity is also available to propose content for the workshops/tutorials portion of the second day. Whether you want to arrange a more in depth discussion of a special interest area or teach an important topic to newer students, we can support you with the facilities required. The process for these proposals is the same as for abstracts, and the committee will work with event organisers after they have been selected to finalise details. Feel free to get in touch with us if you’d like to discuss an idea further before then. Prizes will be on offer for presentations, posters and workshops/tutorials. More details to be confirmed later.